There’s been a lot of change on this side of town – starting with a new job! Since my last post, I’ve been busy acquainting myself with a new work environment, a new city and new workout routines. I guess you can say I’ve been re-discovering myself in a way and creating new goals for myself. WIth these new goals in mind, I’ve been trying new activities and discovering new hobbies. 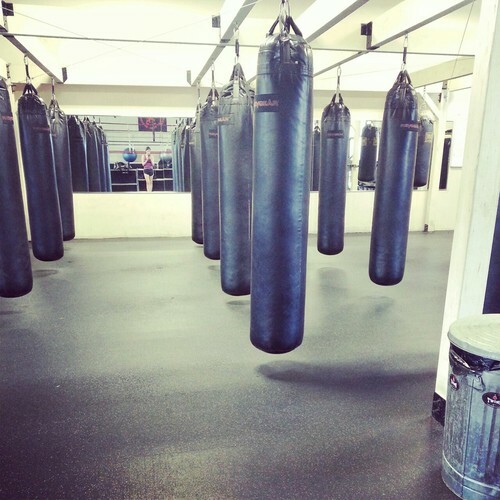 One of those newfound hobbies – kickboxing. It’s my new love and my new passion. Not to mention it’s most likely the greatest stress-reliever known to mankind (in my opinion at least). Although I have to say my weight gain has been inching to new heights, I have discovered a drop in body fat percentage as well as an increase power and strength. Although the classes are a bit lengthy, I discovered that a large portion of these workout routines consists of plyometric exercises. Plyo consists of powerful, intense movements in a short amount of time. In between kicks and punches – plyo gives us a burst of energy – making the metabolism kick into gear. If you don’t have enough time to fit in a full kickboxing routine, adding the same plyometric moves from class can give you a burst of energy and result in a higher calorie burn. I challenge you to add the following exercises into your next 10-15 minute workout routine. Simply do one exercise between weight sets for great results!